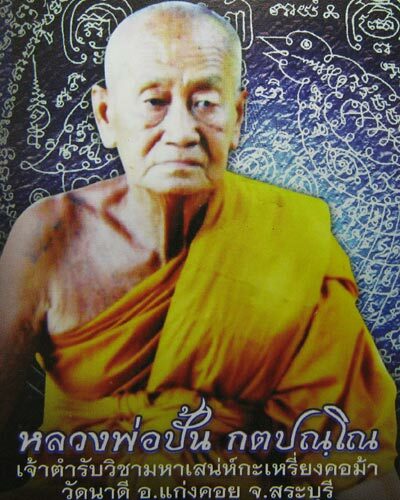 The Achanaree is basically the Ma Saep Nang Wicha in the gariang Kor Ma tradition of Luang Por Bpan’s Lineage of Masters, and is known to be as powerful as his Wicha Paetch Payatorn (Khun Phaen Tewada Hlong Hong). With three Takrut Na Hlong Hlai enchantment spells, and two Takrut Ma Saep Nang (Horse and Lady Symbiotic Yab-Yum Deity) Inserted. 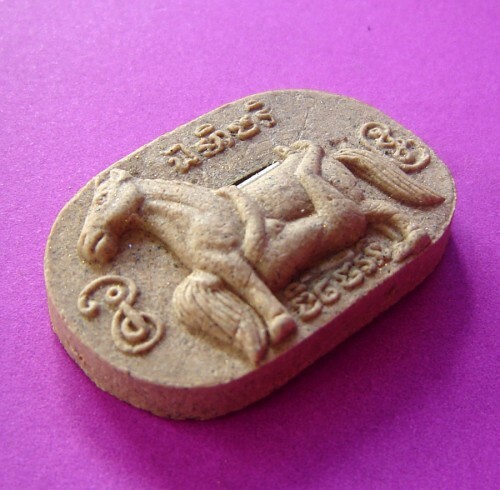 Made using a subtle mixture of Maha Sanaeh powders gathered and empowered by Luang Phu Bpan. The powders are empowered to attract great business and for Kama Sutra magic. Also good for Tantra practitioners to intensify the practice. 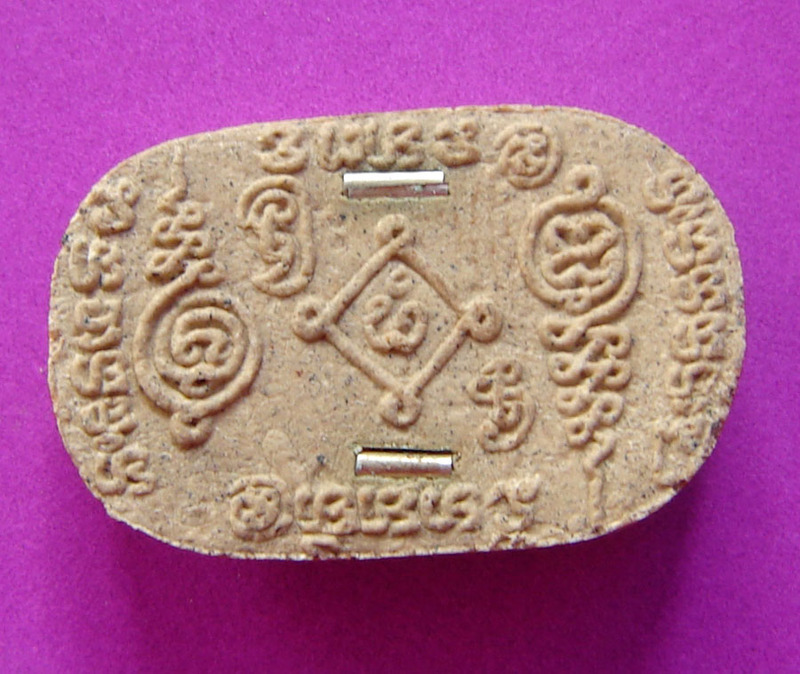 Luang Phu Bpan Gadtabanno of Wat Na Dee is considered ever more the most powerful creator of Maha Sanaeh charm amulets for good business and romance. 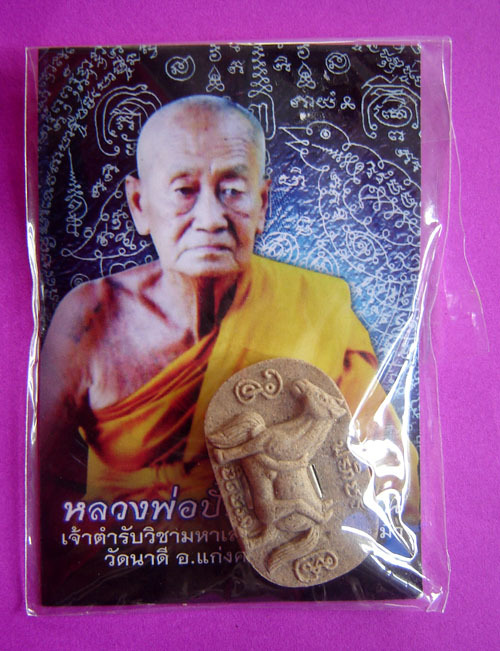 His amulets are of the finest sacred ingredients and designed by some of Thailands most proficient Fine Artists and Artisans.